I recent spent some time on the Internet researching the pending labor crisis created by retiring baby boomers. It is surprising how much is available in the literature to describe this transformational challenge, and equally shocking the topic isn’t treated as a much bigger issue in the economic development profession. In my humble opinion, this is a tsunami that will swamp communities unprepared to deal with the new labor reality. In the spirit of sharing, I thought you might find my notes valuable. Feel free to use them as you deem appropriate. I stayed pretty true to the actual words from the articles I read. So, if you want to use any of the following as quotes and need a citation, simply copy and past the statement in your browser to find the original article. There are 77 million baby boomers in the workforce who will be retiring in unprecedented numbers. US employers will need 30 million new college-educated workers by 2020. But, fewer than 23 million will graduate from college in the next 10-years. By 2018, the US may have 4 million more jobs than workers to fill them. When Boomers retire, they take with them institutional knowledge and skills. Rebuilding that knowledge and skill base can be time-consuming and expensive. All else equal, fewer workers means less economic growth. Companies are paying a tax on two fronts. They paid to hire and train employees, and now they will pay for the loss of experience and knowledge. As aging baby boomers begin retiring, the effects on the overall economy and on certain occupations and industries will be substantial. Professional occupations have a disproportionate number of older workers, particularly those requiring post-graduate degrees. The top 3 impacted occupations are airline pilots, management analysts and teachers. By 2018, all but the youngest baby boomers will be of retirement age. The Baby Boomer population could redefine our notions of later life stages by challenging expectations regarding part-time work, leisure, volunteerism, family roles and structures, and continuing education and skills development. Many U.S. companies and nonprofits have not trained, prepared, or secured sufficient numbers of mid-level managers to fill the executive ranks nationally. A talent pool shortage among those with executive quality potential significantly affecst the level of competitiveness of U.S. industries and the quality of service from the national public and nonprofit institutions. As boomers retire, expect wide-ranging effects: not only do retirees produce and contribute less in an economic sense, they tend to spend less as well — not a recipe for economic growth. The problem won’t just be a lack of bodies. Skills, knowledge, experience, and relationships walk out the door every time somebody retires—and they take time and money to replace. The mass migration of baby boomers into retirement will leave millions of open positions with only a fraction of qualified internal or external talent remaining with the capabilities to fulfill these roles. Organizations that are lucky enough to fill these roles will probably overpay to do so while those who can’t (or provide inadequate replacements) run the risk of losing their competitive advantage in the marketplace. As the Baby Boomers retire, immigration flows change, and the number of young people entering the labor force declines, the number of new jobs needed to maintain pre-recession employment norms will decline. Every person who will be hired in the next 25 years has already been born. In the US, the economic dependency ratio is increasing. In 2050, there will be 1.5 people outside the work force for every 1 inside. The future belongs to communities who can provide companies access to top talent required to be competitive. Whether your community succeeds or fails is directly dependent on the strategies it adopts to address the impending labor shortage. My recommendation is to focus on enabling residents of your community to achieve their American Dream. By reducing the barriers, your community will be attractive to retaining residents and attracting labor companies need. If it is a challenge to achieve the American Dream in your community, you will find it nearly impossible to provide companies with the labor pool they need. This means companies doing business in your community will be forced to leave in order to access required labor, and your community will be at a decided competitive disadvantage for new company attraction. Every article I read on this subject makes me more convinced it should be a “sleep loss” issue for economic development professionals. I encourage you to listen to my recent podcast with Mark Lautman, author of the book – “When Baby Boomers Bail”. Mark has spent his career in economic development and has a very good handle on the challenges this demographic shift represents. I think you will find his advice both practical and helpful. 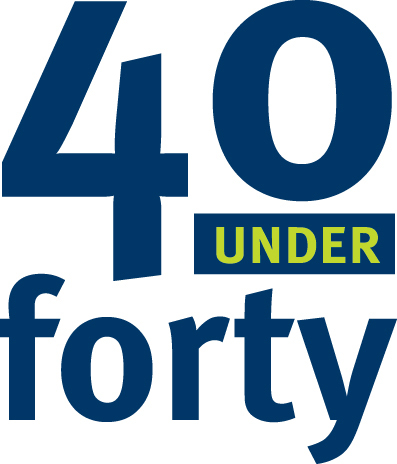 If you know a rising star in the economic development profession, click the 40 Under 40 logo and nominate them for national recognition. Tired Of Not Getting What You Need From Your Agency? I think you’re right. I just bought the book and am looking forward to reading it. Immigrants are actually part of the solution, but to your point are not sufficient to solve the problem. The baby boomer phenomenon is global and most developed countries are under the same skilled labor pressure. Consequently, there is not a surplus of skilled labor to go around. I personally think a new work model is required that allows baby boomers to do contract work averaging in the 20 hour/week range. Another part of the solution is to make it easy for baby boomers to start LLCs and continue to contribute to the tax revenue base. The retirement equation now includes the Affordable Care Act. As the human resources department head what “kept me up at night” was the thought of loosing skilled workers. My internal research on the ages of the company’s workforce was frightening. What I discovered that was keeping boomers in the workforce was the expense of healthcare. Even if one wanted to retire at 62 (or earlier), there was still at least three years to pay for healthcare out of pocket, plus the likelihood of denial of coverage for pre-existing conditions. When boomers understand and price health insurance under ACA, the mass exodus will accelerate. 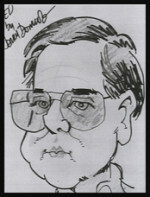 John – Excellent insight! It is great to have the perspective of a private sector senior HR manager. I think your observation is unfortunately spot on. All the more reason the economic development profession needs to shift focus to better enabling residents to achieve their American Dream and becoming a magnet for talent attraction and retention. Companies are going to be forced to locate operations in communities where skilled labor desires to live and work. I hope readers are paying close attention to your observation. I’ve skimmed the book and found it to be mostly one-sided alarmism. Millions of Baby Boomers can’t afford to retire at 62, 65, or 66. Millions of Baby Boomers don’t trust SS and Medicare will be functional in 30 years, so they plan to work longer. Millions of people have dropped out of the work force and will return when/if they have prospects for a decent job. Business holds most of the power when it comes to public policy. It might take a few years, but low-cost immigrant labor will be legalized if there is a real shortage of low-skilled labor. The visa program for high-skilled immigrants is very flexible. A serious shortage of high-tech workers will open the floodgates for computer programmers and such who would kill for the chance to make $30,000/year. I believe it was Fortune magazine recently had a cover story on abuses in this program. As technology destroys jobs, there are millions of displaced but trainable workers. If there were real labor shortages, companies would be willing to spend a little money training these people, and pay them a lot less than the retiring Baby Boomers. Corporations have gotten spoiled with several years of having hordes of highly-qualified applicants chasing every job, and when they don’t have 10 great candidates to choose from, they start whining about shortages. I will admit there may be pockets of real shortages, such as petroleum geologists. And given the level of abuse directed at teachers, a shortage there seems likely but easily fixed by reducing the abuse. Judging by the obscene pay for CEOs, there must be a shortage of those, but with total corporate profits at record highs, it doesn’t seem to be hurting corporations on a macro level. As a young Boomer going through a financially difficult career change, I sure hope Lautman is right and I can hang on until I’m in demand, but I think he’s crying wolf. The link you provided points to the current page, so I can’t access your notes, which I would like to see.